The donation you make today empowers women at Calvary to achieve their goals of becoming financially independent and moving into their own homes. Your donation also provides day-to-day needs like a safe place to sleep, mental health services, healthy meals and educational activities. 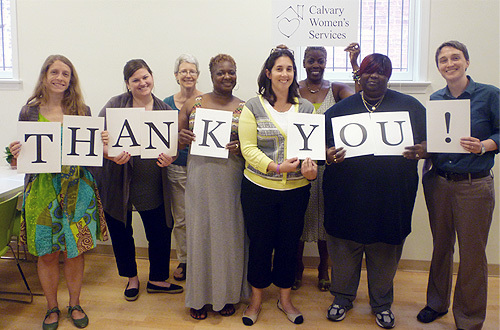 Make a donation to Calvary and make a difference in the lives of women who are working to overcome homelessness. Help welcome women into our programs this winter by donating items directly from our Sister Circle Amazon Wish List. Donating new and unused supplies and goods helps Calvary meet some basic needs of the women in our programs. 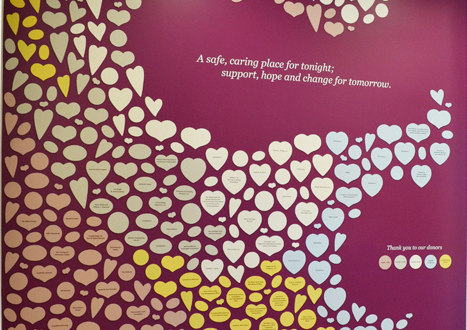 Please contact us to set up an appointment to deliver a donation. PLEASE NOTE: Due to limited storage space, we cannot accept donations of clothing or shoes. We accept furniture on an as-needed basis for use by women who are transitioning out of our programs and into their own homes. Regular, recurring donations help ensure that Calvary has the funds needed to offer excellent programs and services. Making a recurring gift is also a convenient, easy way for you to positively impact the women we serve. Sign up for a monthly, quarterly or annual giving plan that will make an ongoing difference. Support the programs at Calvary by setting up a Facebook Fundraiser in honor of your birthday. Download our Facebook Fundraiser Toolkit for a step-by-step guide on getting started, as well as advice on how to get the most out of your fundraiser. You can support Calvary through the United Way (#8812) and Combined Federal Campaigns (#76863). Bequests and other planned gifts help you create a legacy. Contact Heather Laing at (202) 678-2341 ext. 220 to discuss how you can provide life-changing opportunities for women for years to come. Donating a gift of appreciated securities offers an added tax benefit. Wire transfers can be arranged. Please contact Heather Laing at (202) 678-2341 ext. 220 for more information. Make an impact. Empower women. Donate today.